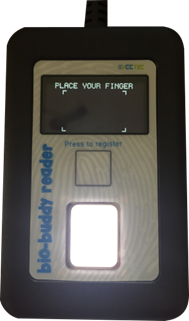 The Bio-Buddy reader offers an incredibly low cost method for small organisations who wish to incorporate secure biometric identification on their multi-function devices, without the need for staff to be issued with PIN numbers or ID cards. With a simple software installation the Bio-Buddy reader easily connects via USB to an MFD. Alternatively, the Bio-Buddy reader can be connected to your network via a TCP converter. LiveRegister can be implemented as a stand-alone biometrics solutions, simplifying the management of users and removing the requirement for a card or PIN number for authentication. Alternatively, if your environment utilises the LiveRegister solution for another purpose such as cashless catering we can supply the MFT3200 finger print scanners which connect to the Multi-Function Devices (MFD) running the embedded application, or with the CPad terminals which are compatible with Human Interface Devices (HID) readers. Once the unit is configured with the address of the LiveRegister Server all management of users and configuration is performed centrally. This solution utilises your existing BioStore system by providing a Secondary Server Licence to incorporate PaperCut into your biometric environment. Via integration with the BioStore ID Manager server software you have a centralised database of fingerprints, MiFare ID cards or PIN numbers for easy management across solutions. 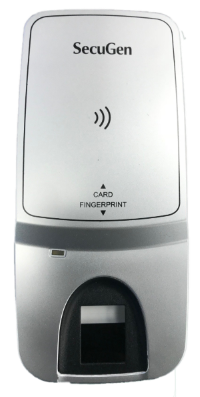 The IDPOINT terminal is an all-in-one fingerprint scanner, MiFare card reader and also includes a PIN pad for your opted out users, for use on each Multi-Function Device (MFD) or printer you wish to control. SMART iD is an Identification Management System used by schools, academies, councils and ICT providers. 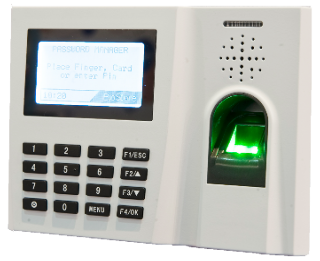 It collates identity information from a single registration source and presents it for use by a host of hardware and software based interfaces such as biometric dermal scanners, swipe card readers, proximity tag readers, smart card readers (MiFare and DesFire) and PIN number readers. SMART iD allows seamless and automatic integration with multiple operations that require identity confirmation such as door entry, library services and cashless catering and also provides simple integration with PaperCut offering a cost effective method of staff and user identification for print and copy release.